The afterlife of your smartphone – is the planet paying too much for our luxury? Changing mobile phones has been part of our lives for quite a while now. Whether you're doing it every year or once in three years, you will eventually get a new one. Even if you keep your old device as a back-up, down the line there's always one that is now obsolete. We decided to take a look at the smartphone industry and see what resources are used for the manufacturing of our devices and how much of them is being reused or wasted. In 2017 alone, 1.45 billion smartphones were produced globally. Of course, not all of them replaced an existing device, some sales are to first time users and many users find another purpose for their old phone. However, according to the Environmental Protection Agency, 125 million phones were thrown away in the United States just in 2010. What goes into a smartphone? "Rare-earth minerals" is group of elements that includes the lanthanides (15 elements), yttrium and scandium. They are used in small quantities in mobile phones, but they are essential in keeping the size of our electronics small. From the touch screens to the speakers, almost every electronic component in modern smartphones includes a palette of rare-earth minerals. While minerals of this group aren't as rare as scientists initially thought, places that have enough concentration of them to be viable for mining are spread unevenly throughout Earth. Currently China is the biggest supplier of rare-earth minerals by a large margin. In 2017, China's output was 105,000 metric tons, followed by Australia with 20,000 and Russia with only 3,000. Seeing how quickly the numbers go down makes it clear that China is single-handedly controlling the market. Extracting the valuable materials requires the use of toxic acids and working conditions in the mines are notoriously dangerous. China isn't exactly at the forefront of environmental regulations, which makes the negative impact of these processes even worse. 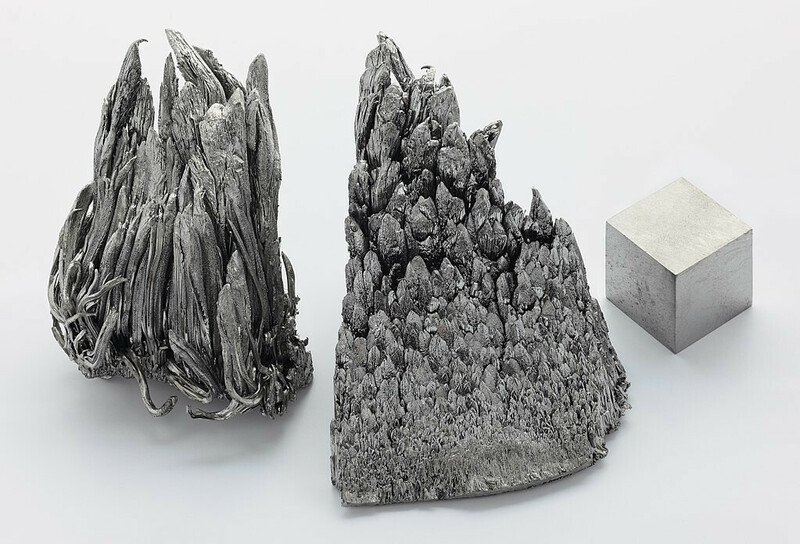 One major problem when it comes to rare-earth elements is that some of them are practically irreplaceable. This means that manufacturers can't just go for the alternative if they can't get the material they need, adding an economical and even political value to them. Here are all the well-known metals – Gold, Silver, Aluminum, Copper, Nickel etc. that make up a major part of our smartphones. While these materials are spread more evenly, and companies have more choice in suppliers, because of the large amount that goes into each device (compared to the previous category), the resources spent on them are significant. A ton of ore is usually needed to get a single gram of gold. Cobalt is a case on its own. The material is used in batteries and almost half of the world's cobalt supply comes from the Democratic Republic of Congo. There have been reports that child labor is used in cobalt mines in the country, adding a negative humanitarian impact on top of the environmental one. Plastic materials are cheap and relatively easy to manufacture, which is why that's the preferred material when phone makers are designing low-end devices. The high diversity of plastics and plastic polymer composites makes it hard to recycle the material efficiently. What comes out of a smartphone? 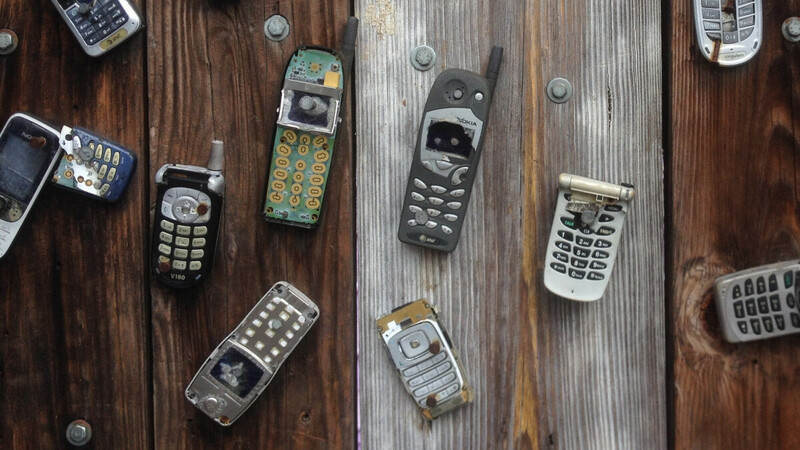 Before a smartphone can get recycled, there is another hurdle that must be overcome: collecting the devices. Many places lack the infrastructure necessary to collect e-waste, part of which is used smartphones, and people often don't have any incentive (besides their inner greenness) to treat e-waste differently and make it easy to be recycled. Once that's done is when the hard work begins. Firstly, most of the e-waste collected in the US (upwards of 65%) is exported to developing countries for recycling. This creates additional emissions released in the atmosphere, further adding to the carbon footprint of each device. Once the products reach the recycling facility they have to be disassembled. Depending on how advanced the facility is, that can be done by machines or manual labor. While manufacturing a smartphone is no easy task, separating valuable materials from components is an engineering achievement in itself. Because different elements are in small quantities are so deeply integrated, extracting them is an extremely difficult process. A lot of companies opt to extract only the materials they can get easily by melting components. For other materials specialized equipment is needed, and the processes are power-intensive and use toxic chemicals. Even if everything valuable is extracted from a device, there is still a large amount of waste that goes to a landfill. So, what should be done to improve the situation? For starters, products should be designed with recyclability in mind. Where do companies stand when it comes to environmental responsibility? A bit crowded in the red zone, isn't it? Each of these companies is rated on three parameters: Energy, Resources and Chemicals and given a grade from A to F. As you can see, the majority of brands are on the bad part of the spectrum. You can check comments about what they do wrong and right on Greenpeace's website. Initiatives like the one from the video above is why Apple is rated so highly. First smartphone with Blue Angel certification. So far so good, but here comes the bad part: It comes with Snapdragon 801 (released in 2014), 2 GB of DDR3 RAM and Android 6.0 operating system. That should say enough about its qualities. The kicker is that it costs the equivalent of $620 (529 Euro), although the phone isn't marketed in the US and even if you get one, it won't have 4G there. A quick search shows that you can get OnePlus 6 from Amazon for $609 and if you are willing to pay a bit more, $650 will get you a Samsung Galaxy S9. Even $200 will get you a phone with better specs. 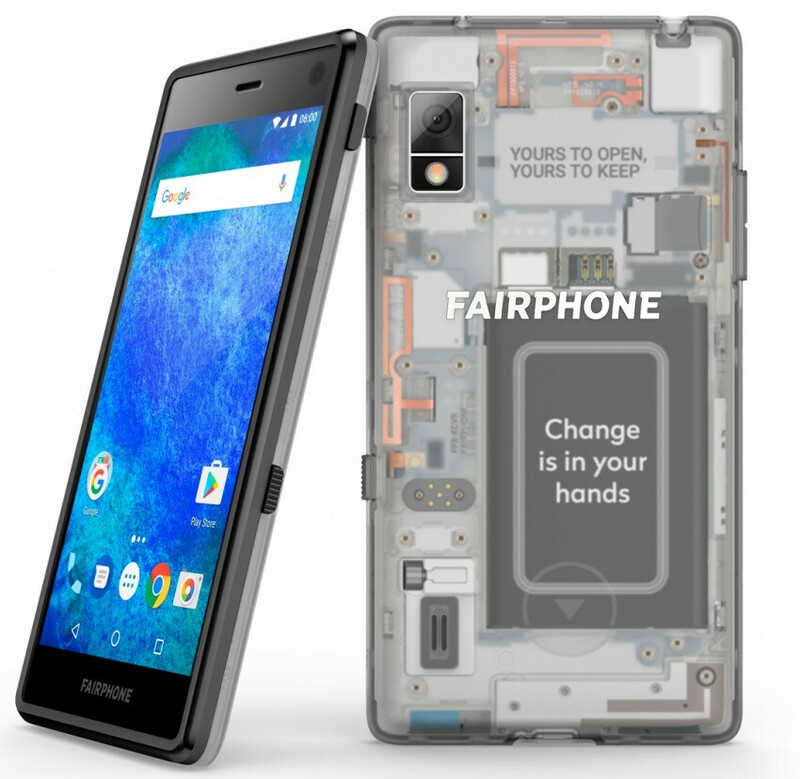 So, is having an environmentally friendly and ethically produced phone worth $400+? We're guessing that for at least 95% of smartphone users it's not. Surely, though, if all the multi-billion-dollar corporations put their efforts in that direction, we can get a good combination between sustainability, quality and price. But often they need to be pushed in the right direction by regulating entities. Obviously, it's almost impossible for the US Government or the European Union to dictate working conditions in African or Asian countries, but they can take measures about how used electronics are treated under their jurisdiction. 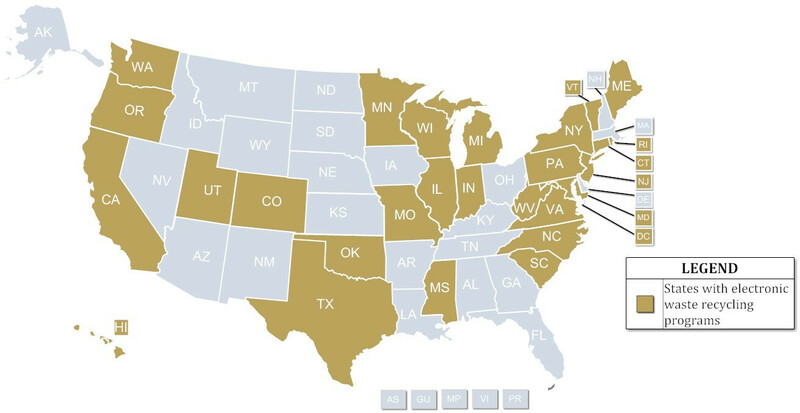 In the US, things are largely decided on state level and so far 25 states have implemented various e-waste managing programs. Meanwhile, on the other side of the Atlantic, the European Commission funded the Critical raw material project. The EC has classified most of the materials we mentioned earlier as "critical" for their economic importance and outside supply dependence. The goal of the project is to recover more of these materials from e-waste by improving conditions for the gathering and processing of unused electronic devices. The project ran in four countries for two years and ended this June. Now the results of the trial are being examined and proposed policy changes are expected in 2019. Of course, these are just a couple of examples, we're all familiar with buy-back offers, special electronics recycling bins at tech stores and even people pushing carts stacked with used computers. If we are to see significant improvement in how we treat our electronic devices, there must be a change in the mindset of everyone involved: material suppliers, manufacturers, users, regulators. Now let's all go out and hug a tree. All of mine, dating to May of 2000, still power-up and can display their contents. I couldn't think of parting with them since each triangulates the Who?, What?, Where? and When? of these device's place in my personal history. Someone will dispatch the lot when the time comes but at least for now it won't be me. My current phone is the 6th since 2004. One was stolen and the previous was damaged by repair service team. So you bought the phone in 2004? What phone are you using? I have never thrown away a phone. I still have my old flippers from VZW. I usually give them away, as they are always in day one condition when I either trade or give them away. I think one issue is, the way many phones are designed (looking at you Samsung), the phone is harder to disassemble at least with a machine. which would make it costly for them to do it by hand. My State has an electronics recycling program, but most people don't care. All it takes is for someone to just open a company and work with a local postal service, where people can simply drop a phone they don't want in the mailbox, and after collecting a reasonable amount at a time, ship them to the recycling center.This would make it easier for people to actually do it. But its up to the local Governments to make it important and feasible. None of my phones are thrown away. Some of them still work, some have battery issue and some of them I gave away to those who were in need and one was stolen. I have sold or given away all my devices for their use after I was done with it. iPhones are easier to pass on as they do have latest software running. And still have great support years after use. My notes were harder give as second hand, they’re running ancient android and are very slow compared to my iPhone 5s which I kept for myself as a utility device for either background music player in garage or remote camera and it still on iOS 11.x.x and will get 12 which I hear will make it very snappy again. Samsung devices as far as I know went as spare parts to someone I met on Craigslist that services phones. Somehow people don’t care for it as a second hand unless it’s an iPhone. Suppose you know that "Apple seemingly ends support for 32-bit devices with iOS 10.3.2" meaning iphone 5 and 5c are not any longer supported. It´s remarkable with regard to Apples Trottle-gate that the company not were able to develop an operating system working properly on all mobile devices without lowering the performance. I still have a Nextel Motorola from 2000 in my drawer. I power it up every now and then just to relive some better times. The Greenpeach report also states: Apple continues to design products with proprietary parts to limit access and actively lobbies against right to repair legislation in New York and Nebraska. It is reported that Apple and Sony have blocked attempts to strengthen environmental electronics standards that would encourage device designs that are easier to repair, upgrade, and disassemble for recycling --------------------------------------------------​------------------------ Consequently this will generate more e-waste and more profit to the companies when they by purpose make it very difficult and expensive to repair the products. Instead they want the consumers to buy new products!